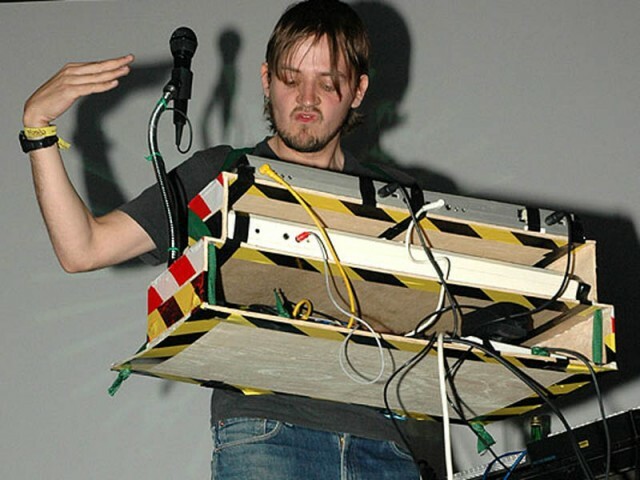 What you need to know: Ceephax Acid Crew is one of the few people who can carry the burden of an all-hardware live performance – literally. It’s summer. Are you on vacation? You’re reading CDM, so my guess is, either, a) yes, and you’ve snuck your iPad into the resort hotel bathroom, or b) no. No, you’re not. 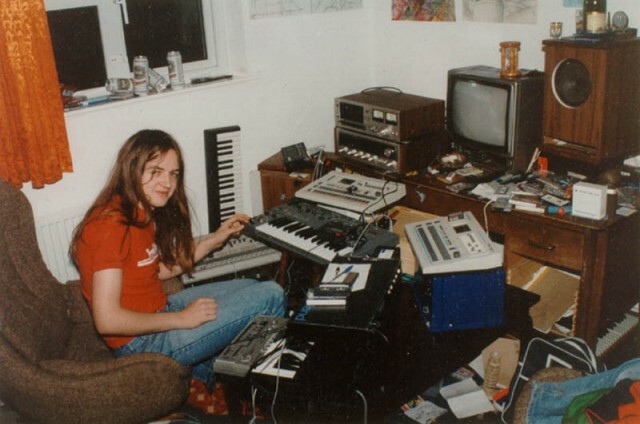 Let’s go on vacation, the kind of vacation that only Ceephax Acid Crew, aka Andy Jenkinson, can piece together from tourist videos and lots and lots of synthesizers. Except Andy’s brother isn’t really important. Andy’s brother could be the man at Roland who decided to discontinue the 808, and Andy would still be an insanely-talented musician and synthesist. It’s worth digging up Ceephax Acid Crew’s records, which are scattered across multiple media (CD, vinyl, cassette tape), labels (Planet Mu, Lo Recordings, Warp, Rephlex, and some which may exist only as a result of a collaboration between a Sharpie marker and aforementioned compact cassettes). If you can pull yourself away from the YouTube vacation on which we’ve all embarked, you might have time to work out how to use PayPal to have recent records shipped to you, which I wholeheartedly endorse. His website seems charmingly to have escaped 1994, and refers to countries that exist only in his mind, yet with those records you can experience Christmas in August. But the best way to experience Ceephax Acid Crew is to get yourself to a live performance. There, the artist performs entirely on hardware, hands flitting across racks of synths and sequencer machines as though the man is juggling chainsaws. Heck, even that doesn’t matter: the result is undenliably irresistable, even when the machines grind to a halt. Seeing him at Krake Festival last weekend was easily a highlight of 2012 for me. The first tune I could play was the death march monophonically on the harmonium when I was five. I learnt it from a game called R.I.P. on the Commodore VIC20 (a friendly computer). Later, me and my brother Jonny did a hip-hop track (sadly recorded over so my mum couldn’t ever hear it.) I didn’t really do any more music until I moved a slider up on one of my brother Tom’s early acid tracks when I was 13. A bit later I did a cut-up of the gameshow “Countdown” on cassette. 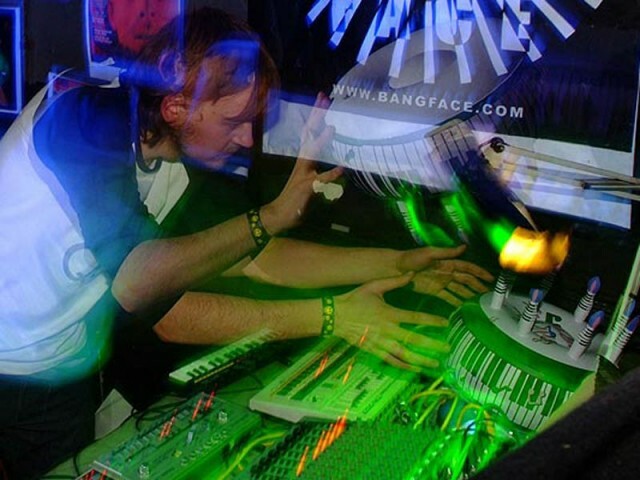 I was in a band called C-Fax which made some wobbly covers of nursery rhymes and did one gig which was lots of fun, we called it a day around that point.Then I finally bought some rave gear when I was 18: a sh-101, a tr-606, some casio thing, a delay unit and borrowed my brother’s tb-303 and started recording tracks. Then I did an acid gig and Ed Dmx signed me up to his label “Breakin’ Records”.The rest is history, as was that bit before as well, even more so maybe as it happened earlier than “the rest” and therefore feels more historical. Musically these days I make tunes on various music-creating beasts and play live and/or dj at raves or things that seem good. I also release some of the music on good labels ! !